Links to information about other professions including: physical therapy, nursing, engineering in medicine, and x-ray Technologies. UW System Transfer Information System -- for information about transferring course credits between UW institutions, and between Wisconsin Technical College System and UW institutions. Majors: There is no specific "pre-optometry" major. At UW-W, you will earn a Bachelor of Arts or Bachelor of Science in a major of your choice. Optometry schools do not require a particular major, so you should choose your major based on your own interests and aptitudes. However, since many Optometry programs require a Microbiology course, students usually choose a Biology major or minor. Here is a list of required or recommended courses for several schools of optometry. See Dr. Pelzel for more specific pre-optometry advising information. Timetable: Regardless of what major you choose, the required courses listed above should be completed by the end of your junior year. The Optometry Admission Test (OAT) is usually taken near the end of the junior year or just before the senior year begins. The OAT covers quantitative reasoning, reading comprehension, physics, biology, general chemistry, and organic chemistry. The exam is required for admission to any optometry program. Grade point average: For serious consideration by medical schools, your GPA must be well above 3.0. The mean GPA for all students accepted to medical school is around 3.2. Optometry School: Admission into optometry school is very competitive. Here is a chart of student profiles showing the admissions statistics for the major optometry schools in the nation. A good site to find information about Optometry programs is the Association of Schools and Colleges of Optometry. They have links to ASCO Member Schools and Colleges of Optometry Programs. Cytotechnologists are trained to perform microscopic examinations of body cells in order to detect the subtle differences that differentiate normal from neoplastic (cancerous) cells. Physicians rely on the diagnostic abilities of cytotechnologists to detect cancers in their early stages; greatly improving the potential for success in subsequent cancer treatment. Cytotechnologists are employed in hospitals, clinics, and medical laboratories. Experienced cytotechnologists have the opportunity to advance into supervisory positions and into research and teaching. Cytotechnologist training generally involves an intensive 12 month program consisting of lectures, discussions, and practical instruction in microscopy, microscopic pathology, cytogenetics, quality assurance, and laboratory procedures. A baccalaureate degree including a minimum of 20 semester hours in biological sciences, eight semester hours in chemistry, and three semester hours in mathematics. A minimum GPA of 2.5 on a 4.0 scale is required. Favorable consideration will be given to applicants with above average academic record and recommendations. 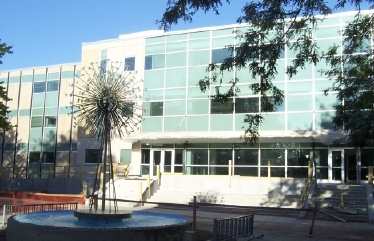 The School of Cytotechnology at the Wisconsin State Laboratory of Hygiene offers a "3+1" program under which a student may be accepted into the school after completing three years of undergraduate course work. The course work must include the minimum requirements listed above and must be completed at an affiliated college or university such as UW-Whitewater. X-Ray Technician Degrees and Related Programs X-rays and radiology play a vital role in the healthcare industry. Today's x-ray technology can do everything from spotting small bone fractures to imaging 3-D models of organs. This site lists sites related to careers in radiology. For comments on webpage: sahyuns@uww.edu. Last updated: March 8, 2016 by SCS.